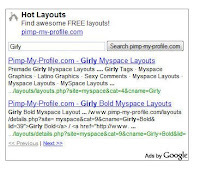 Google is experimenting new ways in that try it make the visitors click on their ads. 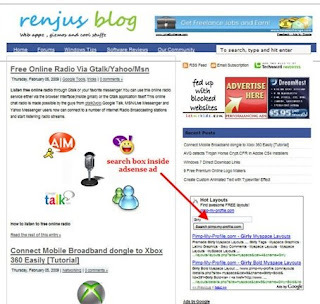 Now they have added a Google search box inside the Adsense ad. We can search the advertiser’s whole site inside the search box without clicking on the ad. It might be one of those Google Gadget Ads but one publisher said he never noticed the ad type on his site.